Skyline is a freely-available and open source Windows client application for building Selected Reaction Monitoring (SRM) / Multiple Reaction Monitoring (MRM), Parallel Reaction Monitoring (PRM), Data Independent Acquisition (DIA/SWATH) and DDA with MS1 quantitative methods and analyzing the resulting mass spectrometer data. It aims to employ cutting-edge technologies for creating and iteratively refining targeted methods for large-scale quantitative mass spectrometry studies in life sciences. New! Summer Skyline@UW: Targeted Quantitiative Mass Spec Course at University of Washington, Seattle WA. (July 22 - July 26, 2019) - Register NOW! Fall Pre-HUPO Targeted Proteomics Course in Brisbane, AU (September 9 - 13, 2019) - Registration coming soon! Fall Targeted Proteomics Course at PRBB, Barcelona (November 11 - 15, 2019) - Registration coming soon! Note: You can install 64-bit Skyline unplugged for computers, like instrument control computers, with issues connecting directly to the internet. The administrator install of Skyline installs in C:\Program Files. It is used for the rare cases where an administrator needs to install Skyline on a computer that many users have accounts on, and the administrator does not want each user to have to install Skyline themselves. Watch one of these instructional videos for a quick start using Skyline in your targeted proteomics experiments. Although these three videos were recorded in 2009 and refer exclusively to the Skyline SRM support, they still provide a good bit of useful information about Skyline and how it may be used in setting up targeted proteomics experiments, even when using full-scan mass spectrometers. For a more complete overview what you can do with Skyline, please refer to the Skyline tutorials. Learn more about creating SRM/MRM methods in 28 minutes. Learn more about results analysis and method refinement in 25 minutes. Learn more about importing existing experiments and isotope labeled reference peptides in 27 minutes. Try the Targeted Method Editing tutorial, and get hands-on experience. Download the full video for faster access to repeat viewing. Try the Targeted Method Refinement tutorial, and get hands-on experience. Try the Existing and Quantitative Experiments tutorial, and get hands-on experience. Settings > Integrate All no longer affects Precursors.TotalArea nor other quantitative metrics. At last, it is just visual. Fixed problem reading Thermo raw files that have scans with multiple precursors. Fixed "use results" on "Edit Drift Time Predictor" form to pay attention to whether "Use high energy offset" is checked. If it's not checked, then always use 0 for the high energy offset. Fixed problem where matching chromatograms to transitions does not pay attention to m/z match tolerance and double counts transitions. Fixed ion mobility lookup in spectral libraries to support high precision modifications. Fixed bug where documents containing the adduct "[2M+H]" cannot be opened. Fixed "Remove Peak" behavior when chromatograms showing more than one file. If you have the hardware, Skyline should be able to use up to 100% CPU and 100% of your memory. Though we continue working on making it do more with less. New --import-process-count=[num] and --import-theads=[num] arguments for SkylineRunner. The former can yield up to 10x import performance improvement on a 24-core NUMA server and 2-4x on a standard i7. New file details (score type, score cut-off, unique peptides and spectra) in Spectral Library Explorer source file details form. Use of .NET API to encrypt passwords for Panorama and Chorus stored by Skyline in its user.config file. Slightly more tolerant peak grouping which allows undetected peaks to be added to the group based on chromatogram correlation over the integration boundaries. Fix to "Unable to sort because the IComparer.Compare() method returns inconsistent results"
Consult the Chorus Cloud Chromatogram Extraction tip to get started. Fully enforced light-heavy ion matching and Find form support for "Mismatched transitions"
Replicate custom annotations, e.g. Concentration, Case/Control, SubjectId, etc. Now with native WIFF file import support installed. The core focus of v0.5 is analysis of result data, building on the successful method creation features of v0.2. Our ASMS 2009 poster gives a broad overview of how we are using these features to extend the scope of our targeted proteomics research at the MacCoss Lab. 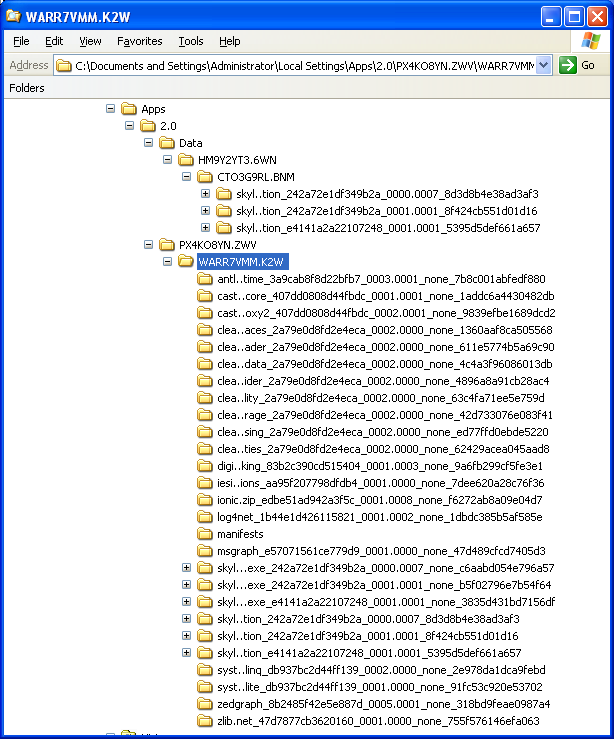 Skyline edits its own universal method format document (saved in XML), and can export transition lists for a variety of instruments. For large, un-refined methods these may be multiple lists per document. The Skyline Team is excited to continue its tutorial webinar series designed to help you get the most out of Skyline targeted proteomics software. Now with sixteen sessions completed, Skyline Team members spends most of the time in these webinars explaining what the software is capable of and how best to use it to answer your research questions. Each webinar has its own page (linked below) containing a recording of the webinar and all related information. The webinar recordings are about 90 minutes long with the last 30 minutes dedicated to Questions and Answers from the attending audience. Additionally, each webinar page contains the presentations, supporting tutorial data, written answers to the Q&A sessions and other related information. Even the most experienced Skyline users are likely to learn something new. Try one of these tutorials, and get hands-on experience using Skyline with real data. On February 10th, 2015, the Skyline Team produced Webinar #4: Targeted Method Design with Skyline, another great resource for this foundation topic. On March 10th, 2015, the Skyline Team produced Webinar #5: Targeted Method Refinement with Skyline, another great resource for this topic. Learn more about reviewing results and refining your methods by reading the ASMS 2009 poster. On April 7th, 2015, the Skyline Team produced Webinar #6: Effective Data Processing and Interrogation with Skyline, another great resource learning this material. On December 1, 2015, the Skyline Team produced Webinar #12: Isotope Labeled Standards in Skyline, another great resource for this topic. On October 21st, 2014, the Skyline Team produced Webinar #1: Getting the Most Out of DDA Data with Skyline, another great resource for working with DDA data in Skyline. For an in-depth discussion peptide modifications, see Webinar #10: Working with Modifications in Skyline which was produced on September 29, 2016 by the Skyline Team and features importing PTMs, isotope labeling and importing large assay libraries, among other topics. If you run into trouble seeing ID annotations in your chromatograms, be sure to consult Tip: ID Annotations Missing with Mascot Search Results. Even if you did not use Mascot, this tip may contain useful information. On January 13th, 2015, the Skyline Team produced Webinar #3: PRM Targeted Proteomics Using Full-Scan MS and Skyline, another great resource for producing and working with PRM data in Skyline. For a more advanced discussion see Webinar #9: PRM for PTM Studies which was produced by the Skyline Team on July 21, 2015 and covered using PRM data from a study of modifications on histones. On November 18th, 2014, the Skyline Team produced Webinar #2: Jump Start DIA Analysis with DDA Data in Skyline, another great resource for working with DIA data in Skyline. On January 25, 2017 the Skyline Team produced Webinar #14: Large Scale DIA with Skyline, which highlighted the additional research and workflows developed in the 28 months since our first DIA webinar. On February 10th, 2015, the Skyline Team produced Webinar #4: Targeted Method Editing with Skyline, with a sneak peak of small molecule support. On November 7th, 2017, the Skyline Team produced Webinar #16: Small Molecule Research with Skyline, with new material on small molecule support. Learn more about using Skyline for small molecule quantification by reading this MSACL 2015 poster. Learn how to create a Skyline document that targets small molecules specified as precursor ion chemical formulas and adducts. Import a multi-replicate data set collected on a Q Exactive Orbitrap mass spectrometer for a set of plasma samples, and see how many existing Skyline features created initially for targeted proteomics use can be applied to small molecule data. On April 15, 2016, the Skyline Team produced Webinar #13: Calibrated Quantification with Skyline, another great resource for this topic. On January 25, 2017, the Skyline Team produced Webinar #14: Large Scale DIA with Skyline which included a fairly lengthy section on current peak picking strategies in DIA. On April 4, 2017, the Skyline Team produced Webinar #15: Optimizing Large Scale DIA with Skyline which included more details on peak picking strategies in DIA. The ETH DIA/SWATH course Tutorial 2 - Skyline DIA analysis also provides insight on using Skyline peak picking models for DIA with smaller target sets. You can also watch the DIA/SWATH Course presentation videos which include larger scale hands-on examples. On May 12, 2015, the Skyline Team produced Webinar #7: iRT Retention Time Prediction with Skyline, another great resource to learn more about iRT retention time normalization and library building concepts in Skyline. On January 25, 2017, the Skyline Team produced Webinar #15: Large Scale DIA with Skyline with updated, advanced DIA workflows and using larger data sets. Webinar #14 also touches on iRT integration into method development. Preferred use of QuaSAR has changed from a GenePattern web page to a Skyline External Tool, installable and directly integrated into Skyline. You can also watch the presentation videos. In 2018, many of the same instructors with some new additions presented the second week long course on DIA/SWATH for proteomics to 50 participants. That course included new tutorials and lectures aimed at teaching DIA/SWATH data processing and use in proteomics research, with some very nice examples using Skyline. You can download them form the same location. You can also watch the DIA/SWATH Course presentation videos. Here are a few tips too short to be a full tutorial, but which may be helpful nonetheless. This is a partial list, check the "Pages" menu on the right for more. When enabled, the audit log will keep track of all changes that are made to the current document. The audit log is stored as a separate file (.skyl), alongside with the skyline document. The audit log can be accessed from the View menu. The audit log is displayed in a grid, similar to the document grid. In the top right corner audit logging can be enabled or disabled. For new documents, audit logging is enabled by default. •Reproducibility: The audit log makes it easy to see what changes were made to a document and can be used to reproduce a document step-by-step. •Collaboration: If multiple people are working on the same document it can be helpful to have a record of what each person has done to the document. •Troubleshooting: If the user encounters an error in Skyline, the audit log can be helpful for the Skyline team to diagnose and fix the issue. Full details can be found here (PDF). NEW! in Skyline 4.2: You can now import OpenSWATH results either from TSV or OSW file into Skyline for data visualization and beginning the targeted method refinement process. These tips relate to principally to Data Independent Acquisition (DIA) method of mass spectrometry. Powerpoint slides with useful information on the fundamentals of Data Independent Acquisition (DIA) are provided below. The pivot editor lets you combine rows in the Document Grid, and perform aggregate operations on them such as "Mean" or "StdDev". Here are some examples of how to use the Pivot Editor. The Document Grid allows you to specify formats for columns that contain numbers or dates, or other formattable data types. To set the format of a column, right-click on it and choose "Number Format...". The "Choose Format" dialog allows you to specify a custom format string. Microsoft provides documentation for custom number format strings and date format strings. If you want to save your formatting choices with your custom report, you can use the "Remember Current Layout..." menu item, which is on the Group/Total button next to the Reports dropdown on the toolbar at the top of the Document Grid. When a report is exported for external tools, the format used for all numeric columns is always the round-trip format ("R"), which provides the full precision possible for the numeric values. This is the format that is used if you choose "Invariant" as the language when exporting a report at "File > Export > Report". Skyline assumes protonation for peptides so we can simply speak about "charge" or "charge states". For generalized molecules, we have to think about all kinds of ionization so we speak in terms of "adducts". Adduct descriptions may also specify isotope labels applied to the neutral molecule description. As such, "adducts" are similar to the idea of "modifications" in the peptide regime. then a closing right brace "]". Often transition lists are presented as m/z values with integer charges only, and the actual mode of ionization can not be inferred. In these cases we just give an integer charge value. Sometimes a transition list indicated different precursor m/z values for the same named molecule, Skyline reads this as an isotope label of unknown formula, and expresses the mass shift as a number. Sometimes you want to normalize a particular analyte against a different molecule. Skyline supports this with the "Surrogate Standard" feature. To designate that a molecule can be used as a surrogate standard, right click on the molecule in the Targets tree and choose "Set Standard Type > Surrogate Standard". If you have surrogate standards in your document, then the "Normalization Method" column will have options of the form "Ratio to surrogate..."
Until this work can be completed, however, you can find attached to this page a set of PowerPoint slides which hopefully provide enough of a rough overview of what is now possible that anyone interested can at least get started with the new functionality. Also, the Skyline Tutorial Webinar #12 gives some initial coverage on this feature near the end of the recording (and in presentation slides). Attached to this page you will find a thorough study of how Skyline scales importing large scale DIA data with parallel file import of various file types on either a standard Intel i7 comptuer with 16 GB of RAM versus a Dell PowerEdge with 48 logical processors 196 GB of RAM, using either multiple threads or multiple processes. At the time of this writing, only the Skyline command-line interface (presented by SkylineRunner or SkylineCmd) can take advantage of multi-process import by using the --import-process-count argument. Skyline runs on Windows 7 or later. Skyline is tested nightly on 64-bit Windows 7 and 64-bit Windows 10. Most of our development is on Windows 10 (and 7), but we know of no reason Windows 8 and 8.1 shouldn't work. We test the 32-bit Skyline build, but not regularly on a 32-bit OS, and < 10% of Skyline use is now 32-bit. We are likely to phase out 32-bit builds sometime in 2018. There is no minimum requirement, but for performance reasons a large fast hard drive is desirable. The amount of memory needed depends on the size of your experiments, but 4GB is a good start. Skyline is frequently taught on relatively average modern laptops. But, for larger-scale processing we recommend a more powerful desktop system with dual 24-inch monitors to take full advantage of Skyline display capabilities. We recommend modern i7 quad-core processors, running at 3.5 to 4.0 Ghz work well, with 16 to 64 GB of RAM and a fast SSD (e.g. 500 GB) + a spinning HD with more room (e.g. 2 TB). For really large-scale projects, like hundreds of DIA or DDA files with many hundreds of thousands of transitions, Skyline now makes effective use of highly multi-processor (NUMA) servers with 192+ GB of RAM. We have been using Dell PowerEdge R630 with 48 logical processors and 192 GB (spec attached - purchased for under $10,000 USD). For best import performance, use SkylineRunner command-line interface with --import-process-count=12 (or similar). Be sure to run tests. Mileage may vary depending on the import file format and disk drive type and speed. As of release 3.5, Skyline's small molecule support includes the ability to explicitly set many vendor-specific instrument tuning parameters on a per-precursor basis. The "Insert Transition List" dialog for small molecules now has columns for importing various vendor-specific values such as "S-Lens", "Cone Voltage", "Declustering Potential" and "Compensation Voltage", along with the previously implemented ability to explicitly set "Collision Energy", "Retention Time" "Retention Time Window", "Drift Time", and "Drift Time High Energy Offset". These values can also be modified in the Document Grid. These values can also be modified in the document grid for peptides (formerly this was only possible for small molecules). By default S-Lens values are not written: a new checkbox in the Export Method dialog enables this for appropriate Thermo outputs. On the commandline side, there is a new argument "exp-use-s-lens" for this. Skyline supports IMS data for Waters, Agilent and Bruker instruments. Using an ion mobility predictor can help Skyline ignore unwanted signals and improve data quality. By specifying the predicted ion mobility for each molecule of interest you can tell Skyline to ignore other scans that might contribute noise. To add or change an ion mobility predictor, use the Settings|Peptide Settings menu item and select the Prediction tab, then the Ion Mobility Predictor button to bring up the Ion Mobility Predictor table editor. The easiest way to set up an ion mobility predictor table is to start with a Skyline document with imported results, then use the "Use Results" button in the Ion Mobility Predictor editor. This simply scans the existing imported results and determines the ion mobility value of the scan containing the most intense peak. Once you have that, you can reimport the data and Skyline can ignore scans at the proper retention time but wrong ion mobility. There is a risk, of course, that the most intense peak at a given retention time isn't actually that of the precursor you are interested in, in which case you will be making the noise situation worse instead of better. The ideal way to use this training feature is with simple training sets that elute one precursor at a time. If you do not have that capability then you should go through and verify the ion mobility selections manually using the chromatogram viewer's intensity heat map of mz vs ion mobility. Skyline 3.1 introduces the ability to query raw data files stored in the Chorus raw data repository for chromatograms and spectra. Hopefully we will have a more detailed tutorial on this soon, but in the meantime you can download and watch this video comparison of extracting chromatograms from raw DIA on a local hard-drive and the same data on Chorus. Start a project on Chorus and upload your full-scan (DIA, PRM or DDA) data to get started today. NOTE: Remote chromatogram access not yet supported for SRM data or MSX data. NOTE: We are currently working on supporting Agilent and Waters full-scan IMS data. The Skyline project has implemented integration with many tools and instrument platforms. Skyline supports building spectral libraries from the outputs of nearly 20 different peptide spectrum matching pipelines. It exports methods to and imports data from the instruments of 6 different vendors. And, Skyline integrates with a number of external tools and the Panorama targeted proteomics knowledge base. This tutorial covers Skyline support for importing the start and end integration times determined for peptide elution by tools other than Skyline. You can use this feature to benchmark or visualize the performance of other tools, or simply to incorporate their results into a Skyline-based workflow. Several tools have begun to use enhanced transition lists (with added relative product ion abundance and normalized retention times - iRTs) called "assay libraries". To better support this format, Skyline will now suggest creating an iRT calculator and a minimal spectral library during transition list import when these extra columns are detected. Learn what to expect and what to watch out for when using this feature. Skyline allows you to compare chromatograms of different peptides by selecting them in the Targets panel shown by default on the left side of the Skyline window. Skyline generates a color for each peptide based on the peptide sequence and modifications. This provides a quick way to identify the matching chromatogram in the graph. A peptide will always have the same color, even in different Skyline documents, unless there is another peptide within the same protein that generates the same color. That doesn’t happen too often, but when it does, Skyline picks one of the conflicting peptides and assigns it a new color that is easier to differentiate. Color swatches are shown in the Targets panel next to only those peptides which are shown in the graph. In the example above, only the peptides under the selected protein are shown in the graph. The peptides are also labeled in the graph with a unique abbreviation. If the first three letters of the peptide’s name are unique (among the peptides being graphed), then only three letters will be used in the abbreviation. If the first three and last three letters together are unique, the abbreviation will use those (see ASL…KGK in the example above). More complicated abbreviation schemes are used if the first and last three letters are not unique. Note that a peptide’s abbreviation can change depending on what other peptides are being displayed at the same time. The Targets panel allows you to select any subset of peptides you want. You can select just a few peptides (from one protein, or across different proteins) by clicking on the first, and then holding the CTRL key down while clicking on additional peptides. You can toggle a peptide by clicking on it multiple times with the CTRL key depressed. You can select individual peptides by clicking on their names, or you can select all the peptides belonging to a protein by clicking on the protein name. Note that this can take some time to display if your document contains a large number of peptides. But you can see differences between this graph and the one above. Peptide colors will usually match, but occasionally they don’t if a different color is needed to disambiguate two peptides in the same protein. Peak values can also differ, because different summation criteria are used during import than later when more processing has been done on the raw data. SRM - Selected Reaction Monitoring (sometime confused as Single Reaction Monitoring - no such thing). Common synonym MRM (Multiple Reaction Monitoring). Performed on triple-quadrupole instruments, where the instrument cycles through a pre-specified set of precursor m/z (Q1), product m/z (Q3) pairs called 'transitions', using the quadrupoles as filters (usually 0.5 to 1.0 m/z range). Cycle time is determined by the sum of the dwell times of all transitions in the set. MRM - Multiple Reaction Monitoring, a synonym for SRM created and trademarked by AB SCIEX, but extremely popular because of early popularity of AB Q TRAP instruments for performing this method. scheduled-SRM = scheduled-MRM = dMRM = dynamic-MRM - In order to allow measuring a greater number of transitions in a run, transitions are specified with start and end times (or retention times and windows) to allow the instrument to measure each transition for only a fraction of the entire gradient. Cycle time at any given time is determined by the sum of the dwell times of all transitions being measured at that time. iSRM = intelligent-SRM = triggered-SRM = triggered-MRM = tMRM - In order to gain more confidence in the correct identification of a chromatogram peak in SRM without overly sacrificing quantitative throughput, the instrument measures a set of primary transitions, as in normal SRM/MRM until the intensity on those transitions exceeds some threshold. When the threshold is exceeded, the instrument takes one or more measurements of a secondary set of transitions usually used only for peak identity confirmation, and not quantification. Targeted MS/MS = tMSMS = PRM = MRM-HR - Like SRM, but performed on a full-scan instrument (ion-trap or Q-TOF). The instrument cycles through a pre-specified set of precursor m/z values, using quadrupole or ion trap isolation as a filter (usually 1.0 to 2.0 m/z range) and collects a full MS/MS fragment ion spectrum for each. Cycle time is determined by the sum of the dwell/accumulation or scan times of all scans in the set. Software is used to extract chromatograms from the resulting MS/MS spectra. If the spectra are high-resolution, then extraction can be done using 50-100pm range, making it more selective than SRM. Common synonyms PRM (Parallel Reaction Monitoring), MRM-HR (HR = High Resolution), pSRM (Pseudo Selected Reaction Monitoring). MS1 [Full-Scan] Filtering - Chromatograms are extracted from the MS1 scans of normal DDA (Data Dependent Acquisition) data. Because of the semi-random sampling approach, for MS/MS, of DDA, it is not possible to extract product ion chromatrams (time, intensity) with meaningful peaks for quantification. Chromatogram-based quantification from DDA runs is limited to extracted ion chromatograms from the MS1 survey scans of such runs. Common synonym Label Free Quant. SWATH - Popular synonym for DIA coined in Gillet, et al. MCP 2012, but also trademarked by AB SCIEX, originally specified as 32 x 25 m/z ranges covering 400 - 1200 m/z. HRM - Hyper Reaction Monitoring, less common synonym for DIA/SWATH. MSe - Type of DIA where ions are collected without prior filtering in alternating low- and high-energy scans (all precursors and fragments of all precursors respectively), coined and trademarked by Waters. Common synonym All-Ions DIA. Skyline builds spectral libraries using a separate program called BiblioSpec, which has two main components. BlibBuild is called to build the redundant library, which is then filtered by BlibFilter to create the non-redundant library. The BlibBuild page contains information on the various search engines that are supported, along with information about their respective file formats and the scores used with the cut-off value specified in Skyline. BlibFilter chooses the best spectrum within a group by simply using the one with the best score. If there are multiple spectra tied for the best score, the one with the highest TIC is selected. In the past, BlibFilter chose the spectrum with the highest average dot product when compared to all other spectra within the same group, but this method occasionally produced poor results. A similar method, computing a consensus spectrum and its dot product against the related spectra, also produced inferior results as it sometimes resulted in high-noise spectra being chosen. If your library contains spectra for multiple instruments and conditions (e.g. various CE values) it is important to use the NIST-supplied filtering tools to produce a subset of spectra appropriate to your experimental conditions. Each molecule+adduct (or peptide+charge) pair can appear in a .blib file only once, and without thoughtful filtering you will almost certainly produce a .msp file that can't be used by Skyline because it contains more than one instance of a molecule+adduct (or peptide+charge) pair. If you build a spectral library or use the Import Peptide Search wizard to import Mascot search results for use with full-scan chromatogram extraction, and find that you do not see ID annotations in your chromatograms as you would expect, the problem most likely originates with the MGF converter you used to create MGF files as input to Mascot. A spectrum source file name that Skyline can match with the data file used to extract chromatograms. A retention time at which the spectrum was measured. Note also that Skyline completely ignores any path information included with the spectrum source file name. Many converters will include a full path, but this is not necessary, and Skyline will match chromatogram data imported from any path, as long as the file basenames match. Since the first does not allow spaces in the path, and the second does not allow brackets in the path. Note again that the path information will be ignored by Skyline in matching with imported chromatogram files, though characters in the path can have a negative impact on parsing of some formats (e.g. spaces in format that relies on a space as a terminal character). Issue 1: The TITLE line in the MGF file did not contain a recognizable format (described above) from which the spectrum source file can be parsed, causing the DAT file name to be used instead. If your DAT file contains the search results for a single file, this can be corrected by simply renaming the DAT file to have the same base name as the data file you will import for chromatogram extraction (e.g. spectrum_source.dat). Issue 2: The RTINSECONDS line in the MGF file was missing, causing the spectrum RT value to be set to zero. Issue 3: A time outside the gradient length is shown. Something has gone wrong with the library builder parsing this file. You should report something like this to the Skyline team. Issue 4: Every spectrum has a different source file not representative of files on disk. Something has gone wrong with the library builder parsing this file. You should report something like this to the Skyline team. Note that you must make sure the TPP compatibility check box is checked. If the MGF converter you used comes from an instrument vendor or professional software company, and you want help communicating with them what is required for full integration with a workflow that includes Skyline, either point them to this page, or post your issue to the Skyline support board. NOTE: Skyline uses points that have been linear interpolated from the raw data onto a uniform interval over the duration of the chromatogram in detecting its peak boundaries and calculating its peak areas. These are also the points Skyline displays in its chromatogram graphs. Skyline uses several types of smoothing (1st derivative, 2nd derivative and Savitzky-Golay) in order to place its automatically calculated peak boundaries. These smoothed curves are available for display in the Skyline chromatogram graphs. Skyline does not, however, use smoothed data in calculating peak areas (or area under the curve - AUC). It always uses the raw interpolated points presented in the unsmoothed graphs. Note: with v1.4 patch 1 and higher the light blue areas are not included in the background area. Attached to this page you will find Skyline settings files created by AB SCIEX as helpful defaults for the QTRAP and TripleTOF instruments. On the Settings menu, click Import. Select one of the .skys files. This will add a new menu item to the Skyline Settings menu, either QQQ_QTRAP_Environment or TripleTOF_Environment depending on which file you imported. To change the settings on your current document, simply choose one of these menu items. This will change the document settings to the defaults that AB SCIEX has created for their instruments. If you know your current release is out of date, but Skyline has not asked to upgrade after two restarts, you should first try simply manually installing again from the web page over the top of your existing installation. If this does not work, read on. At times a Skyline installation may become so broken that you cannot install a new release over the top of your existing installation. In this case, you will need to find the Skyline installation files on your computer, save your Skyline settings, and then either uninstall or potentially even delete the Skyline files before you can re-install and subsequently restore your settings. This tip will walk you through doing just that. Press Alt+T, O to open the Folder Options form. Under the Hidden files and folders item, click the Show hidden files and folders option. You should now be able to see the necessary folder in Windows Explorer. If you find more than one, look at the Date Modified and In Folder fields to determine which is the most recent under a folder beginning with 'skyl..'. Hold down the Ctrl key on your keyboard, click the mouse cursor on the file and drag it to your desktop. Now you have a copy of your Skyline settings on your computer desktop. The next thing you should try is to simply uninstall Skyline, using the Control Panel ("Uninstall a program" in Windows 7 & Vista, and "Add/Remove Programs" in Windows XP). If the uninstall fails, then you have no option but to clean up manually. If your '2.0' folder looks much the same as the one above, then you can simply delete the entire '2.0' folder now, but be very careful with this option, as you may have other software in here. If you see any differences, delete only the folders beginning in 'skyl..'. You have removed Skyline from your system. After restarting the system, try again to install Skyline from the Skyline web site or stand-alone installers. After you have installed successfully, close the Skyline window. Then again find the 'user.config' under '2.0', belonging to a folder beginning with 'skyl..' and copy the user.config you saved to your desktop over the top of the new user.config, which will contain only the default settings. You should now be able to start Skyline and see that your settings have been preserved, and continue working with Skyline as normal. On the File menu, click Open (ctrl-O). Select the shared file you are working with (usually .sky.zip). On the View menu, click MS/MS Spectra. On the Edit menu, choose Expand All and click Peptides. Select peptides or precursors in the Peptide View on the left to see the corresponding MS/MS spectrum. For PTMs in the Peptide View, any modified amino acid is bold and underlined. If you hover over a protein name, the positions of the peptides it contains are highlighted in bold colored text. If a peptide is selected in the Peptide View, it is highlighted in red. If a peptide of interest contains post translational modifications (as in this case Ser-348 phosphorylation) you can see the modified amino acid bold and underlined in the Peptide view. You can also hover over the peptide and Skyline will present more information in a tip, including the delta-mass of each modification specified in brackets in a field labeled “Modified”. The MS/MS spectrum is interactive and one can zoom into the spectrum, using the mouse scroll wheel or by clicking and dragging a box around a region of interest, to see further fragmentation details. In the above case of MS/MS for GSLAS348LDSLR [344, 353], zooming in clearly shows that Ser-348 is phoshorylated, and that there is no site ambiguity as the y5 ion and the y6/y6-98 ions clearly determine the position of the phospho group on Ser-348. In the Skyline document shown below, both isoforms have a pink triangle in the upper right corner of the peptide label. This triangle indicates an annotation on the peptide. Skyline Custom Annotation can be used to indicate the site ambiguity as demonstrated above with the “TRUE/FALSE” check mark within the peptide note. These Annotations can easily be exported into custom Skyline reports (csv files). For more information on annotations and reports, consult the Skyline Custom Reports & Results Grid tutorial. Publishing a Skyline document for MS/MS spectrum viewing as part of manuscript submission allows the reader to interactively view MS/MS spectra. Skyline can help with assessment of site ambiguity and allow you to indicate, using custom annotation, cases where site ambiguity of PTMs exists. These Skyline spectral libraries can be further used to design targeted assays and may provide a valuable resource for researchers interested in a certain data set. For manuscript submission, Skyline spectral libraries can easily be generated from many common peptide identification search engine outputs, for further details see the Skyline Spectral Library Explorer tutorial. Skyline documents provide the ideal way to share targeted proteomics methods and results as supplementary material in your manuscripts. Once you have created a Skyline document (.sky) and its companion data cache file (.skyd), your entire method and acquired results can be easily shared with the proteomics community. You are guaranteed that others will have freely available and rich access to your method design and results data. Click the Minimal button to share only the library spectra used in your document. Click the Complete button to share the libraries and background proteome files as they exist on your system. Enter the file name of your choice in the File name field (or accept the default). You now have a compact file that can be shared publicly or upon request with any manuscript in which your methods and data are included. On the File menu, choose Export, and click Report. Check the checkboxes beside the names of the reports you wish to share. Enter the file name of your choice in the File name field. The resulting Skyline report template file (.skyr) can also be shared with your manuscript along with R scripts to make it easy for readers to repeat your analysis on the systems in their labs, with their own samples. Skyline helps you give the proteomics cummunity full, open access to your methods and results. You may know that Skyline documents can be exported to MRM/SRM transition lists for all of the major triple quadrupole instruments available today. You may even know that Skyline documents can be exported directly to native methods for some of these instruments. But, Skyline can also export SRM method files for the Thermo-Scientific LTQ. An ion trap instrument like the LTQ may not have the sensitivity of a triple quadrupole, but you can still use one for targeted proteomics, and you can use SRM on the LTQ as a quality control measure for your liquid chromatography. On the Settings menu, click Transition Settings. Check Dynamic min product m/z. Enter the correct value (e.g. 2000) for your instrument into the Max m/z field. The first setting will restrict the product m/z values Skyline will allow to being greater than a dynamic minimum, based on the precursor m/z, consistent with the limits the LTQ imposes. The second setting will restrict both the precursor and product m/z values Skyline allows to be consistent with what your LTQ is calibrated to allow. If you have done this on an existing document, you should probably review your transitions to be sure Skyline has not removed anything important. Small product ions may no longer be measurable on the LTQ, which could cause some precursors to contain fewer transitions than you want for your experiment. If this is a new document, you can now enter the peptides you are interested in targeting as you would normally, understanding that some smaller product ions that you would normally see will no longer be available in the Skyline user interface. When you are ready to export a LTQ method file for your Skyline document, you must transfer your Skyline document to the instrument control computer for your LTQ instrument, where you will also need to have Skyline installed. If you are using a complex document involving spectral libraries, you may want to consider using the Share command on the File menu, as described in the tip on Sharing Skyline Documents in Manuscripts. On the File menu, choose Export, and click Method. Choose 'Thermo LTQ' from the Instrument type list. Click the Browse button beside the Template file field. Browse to a .meth file you will use as a template for all settings other than the m/z values to monitor. Click the Open button in the Method Template form. Choose options in the rest of the Export Method form as you would for exporting a transition list or a TSQ native method. Enter a name for your method, or root name if creating multiple methods. This will create a LTQ method or multiple methods which you can use to make SRM measurements on your LTQ. Once these are complete, you can import the resulting Thermo .RAW files as you would .RAW files from a TSQ triple quadrupole instrument. Issues with chromatography can easily go unnoticed on systems performing predominantly shotgun data dependent analysis (DDA). They can, however, still greatly effect performance, especially if you are hoping to use tools that analyze MS1 scan data for quantification and feature detection. At the MacCoss lab, we are using SRM methods generated with Skyline to monitor LTQ system performance. Every tenth run on our LTQ instruments, we inject a known standard mix and measure its abundant peptides using SRM. We find that measured retention times and peak shapes of known peptides give us increased visibility into system performance of the LTQ. Below are examples of Skyline displaying both failing and passing runs on our LTQ Velos. Each QC replicate displayed in Skyline was taken as every tenth injection with the other 9 injections used for normal shotgun MS/MS measurement. In the QC runs shown below, chromatography issues first appear between runs 9 and 12. By QC13, the system is clearly not functioning acceptably. Passing: In the 33 QC runs shown below, both a retention time drift of about 2 minutes and decreasing intensity are visible, but measurements remain within an acceptable range throughout. The Skyline project is developed in open source, under Apache 2.0 License, though released under a modified Apache 2.0 License, due to the inclusion of third party libraries with licensing restrictions. Skyline Command-Line Interface - Learn about SkylineRunner.exe and how you can use it to run certain Skyline operations from a command-line. Skyline External Tools Documentation - Learn how to integrate with Skyline statistical and bioinformatics tools you are developing. Skyline Interactive Tools Documentation - Learn how to integrate with Skyline interactive tools written with .NET which can request data from Skyline and respond to document changes on the fly. Since 2012, the Skyline team has been holding an annual User Group Meeting the Sunday before the annual ASMS conference. Made possible by the generosity of our vendor sponsors, the User Group Meeting has showcased the creative and innovative ways that Skyline has been used in mass spectrometry research. To view a recording from a talk during a past Skyline User Group Meeting, select from one of the years below and then chose a speaker. The session recording (if available) and presentation slides will appear below the abstract for the talk. If you use Skyline in your experiments, please cite our Bioinformatics 2010 Application Note, listed below. If you use Skyline for calibrated quantification, please cite our Clinical Chemistry 2017 Letter, listed below. If you use Skyline MS1 filtering, please cite our Mollecular Cellular Proteomics 2012 paper, listed below. If you use Skyline for collision energy optimization, please cite our Analytical Chemistry 2010 paper, listed below. Multiplexed, Scheduled, High-Resolution Parallel Reaction Monitoring on a Full Scan QqTOF Instrument with Integrated Data-Dependent and Targeted Mass Spectrometric Workflows. ABRF Proteome Informatics Research Group (iPRG) 2015 Study: Detection of Differentially Abundant Proteins in Label-Free Quantitative LC-MS/MS Experiments. Journal of the American Society for Mass Spectrometry (Volume 27, Number 11) lead front page story about Michael MacCoss receiving the 2015 ASMS Biemann Award from his work in bioinformatics and software for "omics" researchers (Skyline and Panorama). Brendan MacLean wins inaugural Gilbert S. Omenn Computational Proteomics Award - In 2016, US HUPO announced the Gilbert S. Omenn Award for computational proteomics and the first recipient was no other than the MacCoss Lab's own Skyline Principal Developer, Brendan MacLean. The Omenn award recognizes the specific achievements of scientists that have developed bioinformatics, computational, statistical methods and/or software used by the proteomics community. Dr. Mike MacCoss wins ASMS Biemann Award for 2015 Professor Michael MacCoss received the 2015 American Society for Mass Spectrometry (ASMS) Biemann Award, in part, from the creation of software for "omics" researchers. In their award announcement, ASMS cited Mike's philosophy on making high quality, freely available software -- Skyline and Panorama -- and providing for their long term support. This has enables many others to greatly benefit and has advanced the field of proteomic sciences, ASMS stated. NOTE: If you do not plan to redistribute this software yourself, then you are the "end-user" in the above agreements. The Skyline jobs board helps employers and job seekers interested in Skyline, Panorama and targeted mass spectrometry connect. See what the community is saying about Skyline - and add your statement! The following organizations have made crucial software contributions to the Skyline project. The grant provides support for the continued development and maintenance of the widely used Skyline targeted proteomics software tool. This is a LINCS program grant to derive molecular signatures resultant from cellular perturbation. We will develop a repository to disseminate multiplex mass spectrometry based assays via the Skyline client for use on all major mass spectrometry vendors. This is a biotechnology resource center. Dr. MacCoss’ role in the center is to develop quantitative mass spectrometry based technology for the measurement of protein dynamics. This center will support training in the use of Skyline to the proteomics community. Furthermore, it supports the development of a webservices interface to access data within the Yeast Resource Center public data repository via Skyline. We are continuing to extend our analytical software tools to support Agilent mass spectrometers. We are continuing to extend our analytical software tools to support Bruker mass spectrometers. We are continuing to extend our analytical software tools to support SCIEX mass spectrometers. We are continuing to extend our analytical software tools to support Shimadzu triple quadrupole mass spectrometers. We are continuing to extend our analytical software tools to support Thermo Fisher mass spectrometers. We are continuing to extend our analytical software tools to support Waters mass spectrometers. The primary goal of this project is to improve the quality, reliability, and interlaboratory comparability of peptide mass spectrometry data. We are adding quality control capabilities to the Skyline software tool. Furthermore, we are improving the interaction of Skyline with the instrument hardware and chromatography system. We are developing methods of analyzing mass spectrometry data on ThermoFisher mass spectrometers and Pierce reagents using Skyline. This agreement is renewed yearly and we expect that the funding will be extended. We are improving the interface between Agilent’s popular expression analysis software GeneSpring GX and Skyline. Goal was to understand the genetic and molecular mechanisms that disrupt pulmonary surfactant metabolism. This project has supported the development of software and methodology for establishing targeted protein assays for Surfactant Protein-B. Bridging funding to support the addition of label free MS1 quantitative analysis capabilities within Skyline. Funding provided to develop software to support the CPTAC centers for targeted proteomics method development and data analysis. Learn more about the adoption and growth of Skyline use for targeted proteomics around the world. There have been over 96,500 new installations of Skyline since it was first publicly released at ASMS 2009, with 1375 installations on average each month over the past 6 months. Skyline version 4.2 released to record interest (over 17,500 instances in 7 days). Brendan worked at Microsoft for 8 years in the 1990s where he was a lead developer and development manager for the Visual C++/Developer Studio Project. Since leaving Microsoft, Brendan has been the Vice President of Engineering for Westside Corporation, Director of Engineering for BEA Systems, Inc., Sr. Software Engineer at the Fred Hutchinson Cancer Research Center, and a founding partner of LabKey Software. In this last position he was one of the key programmers responsible for the Computational Proteomics Analysis System (CPAS), made significant contributions to the development of X!Tandem and the Trans Proteomic Pipeline, and created the LabKey Enterprise Pipeline. Since August, 2008 he has worked as a Sr. Software Engineer within the MacCoss lab and been responsible for all aspects of design, development and support in creating the Skyline Targeted Mass Spec Environment and its growing worldwide user community. Josh began working in mass spectrometry (proteomics) starting in 2010 as a Research Associate at Pacific Northwest National Laboratory under Liljana Pasa-Tolic. Here he developed software aiding identification and post translational modification site detection as well as developing pipelines to aid in large scale reproducible data analysis. Following this he joined Amazon, building backend and frontend software for what eventually became Amazon:Go, the cashierless grocery store. Now he has returned to the field of proteomics on the Skyline team to help the team grow into the cloud in addition to other work. Nat worked full-time for Microsoft from 1991 through 2000 where he led a team of system engineers who were helping organizations plan for and integrate Microsoft’s advanced server solutions including network and database products, as well as software development tools. He continued at Microsoft as a consultant from 2000 to 2011, with several internal teams as a technical project owner, customer outreach lead and marketing manager. More recently, Nat joined a social innovation start-up piloting a global educational reform initiative where he served as the lead project manager in delivering a collaboration platform for use by the initiative’s participating educators, researchers and sponsors. As project manager for the Skyline team, Nat is responsible for outreach programs, like webinars, courses and user meetings, foreign language translation, and instrument vendor interactions. Matt has worked in mass spectrometry informatics (mostly proteomics) since 2005; the first ten years he worked for David Tabb and Bing Zhang at Vanderbilt University Medical Center, and since then he has continued working as an independent consultant. He has worked in many subfields within MS, including shotgun proteomics database search, sequence tagging, spectral library search, and protein assembly. Along with Darren Kessner (director: Parag Mallick), Matt developed ProteoWizard, a free open-source library for mass spectrometry data processing. Since 2009, he has been its principal developer. The ProteoWizard tool msconvert is widely used for converting mass spectrometry data by users all over the world. For Skyline, he has focused on being able to read data directly from vendor proprietary data formats. Rita’s experience with software and computers goes back to a Russian clone of DEC’s PDP-11 in 1991. She finished her degree in Organic Chemistry from Saint-Petersburg State University in 1996 where she wrote her first mass-spectrometry software: identification of halogen isotopic multiplets in low-resolution mass-spectra. Since then she worked for multiple software development companies specializing on database-centric applications, analytics and data warehousing. Her most recent job was with Amazon where she learned big data and cloud technologies. Over the years Brian has worked for a number of companies in the Seattle area including Microsoft, BEA Systems and Cray. In 2007 Brian joined LabKey where he wore a number of hats. He helped LabKey's customers design and operate their LabKey Servers and pipelines. He architected and operated all of LabKey's Servers running in the public cloud (AWS and other cloud vendors) and became an expert in FISMA and HIPAA regulations. As part of the Skyline Team, Brian is responsible for managing growth of the PanoramaWeb.org and Skyline.ms servers and helping the team grow its use of the AWS cloud. Brian's love affair with computing started the day he and his dad unboxed that brand new Apple II. Since then he's been involved with software development for, and started a couple of companies around, such varied applications as robot-assisted surgery, circuit board manufacturing and test, internet firewalls, and proteomics. Brian's proteomics work prior to joining the Skyline team included contributions to TPP, X!Tandem, LabKey's CPAS, and ProteoWizard. He's excited to be on a team of software professionals that value performance, reliability, and usability in the support of science. Tobias is currently a student at the University of Washington. He joined the Skyline team after graduating Roosevelt High School in 2017 and quickly developed an interest for proteomics and mass spectrometry. Tobias primarily works on graph related features and among other things has been responsible for the group comparison volcano plot and the peak area CV histogram graphs. Vagisha got involved with proteomics at UC San Diego where she worked with Prof. Vineet Bafna. During that time she built her first tools for visualizing Mass Spectrometry data while working at ActivX Biosciences. Since moving to Seattle Vagisha has worked on Mass Spectrometry pipelines for the Aebersold group at the Institute for Systems Biology, and developed a data management system while at the University of Washington Proteomics Resource and the Yeast Resource Center. She joined the Skyline team in October, 2011. Vagisha enjoys developing tools that help researchers get stuff done. Nick worked from 1995-2000 at Microsoft on the Microsoft Access team, leaving to join Westside Corporation with Brendan to create browser-based database design tools. After Westside was acquired by BEA Systems, Nick created a new graphical JSP designer for Weblogic Workshop, an award winning Integrated Development Environment for enterprise Java applications. At LabKey Corporation, Nick created the flow cytometry module and the graphical query designer. Since March, 2009 he has worked in the Maccoss lab on Skyline and Topograph, a quantitative analysis tool for protein turnover experiments.